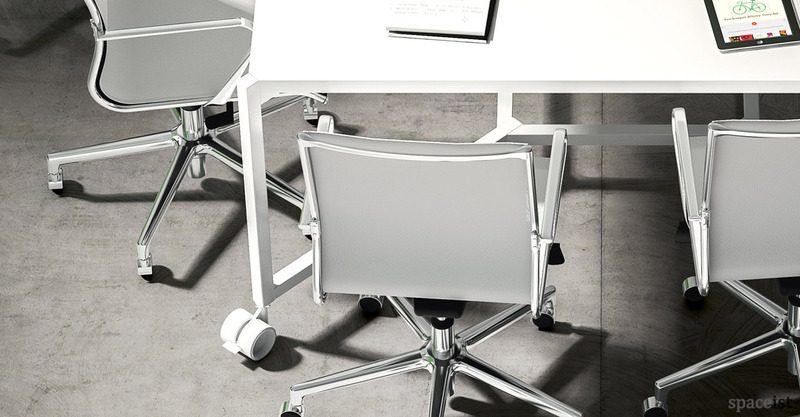 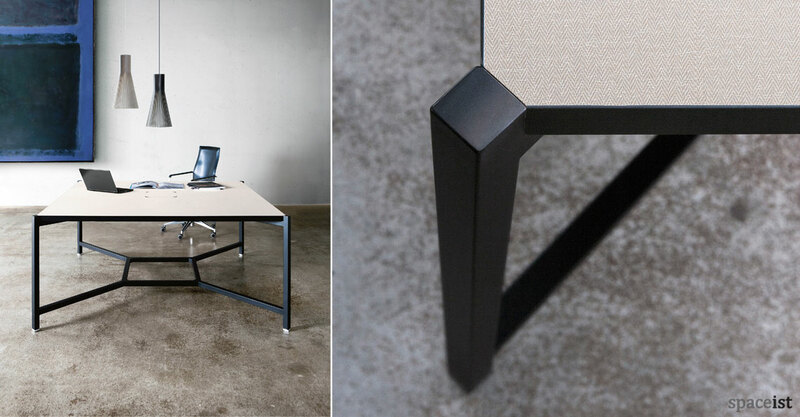 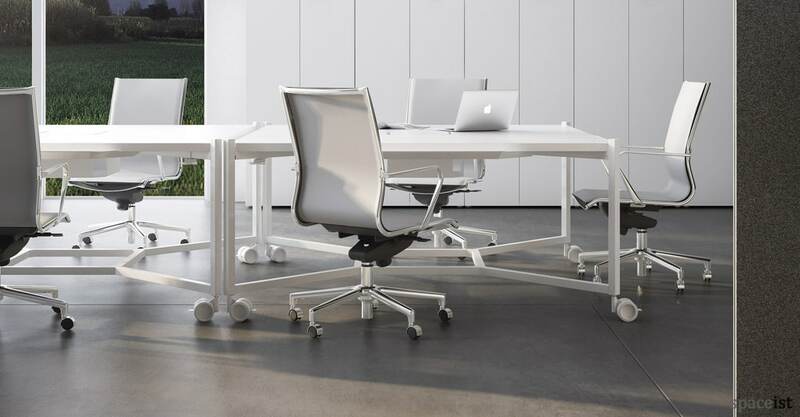 NEW square meeting table with the option of a castor base. 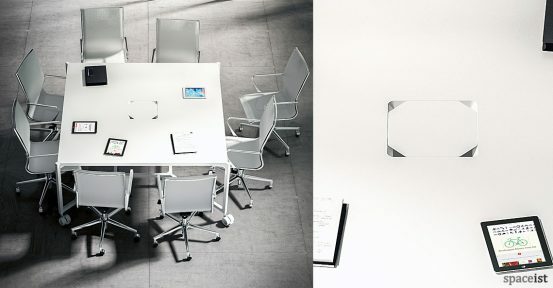 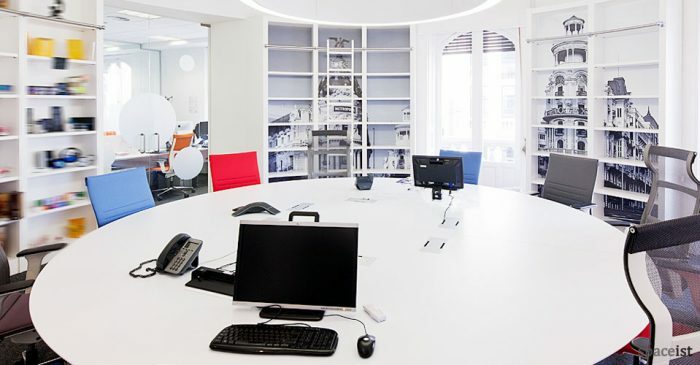 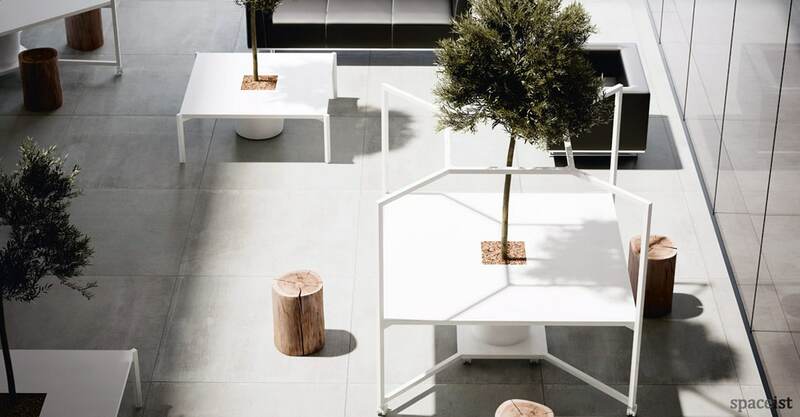 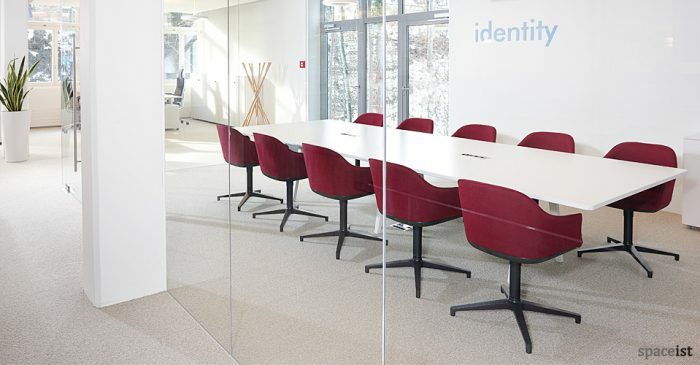 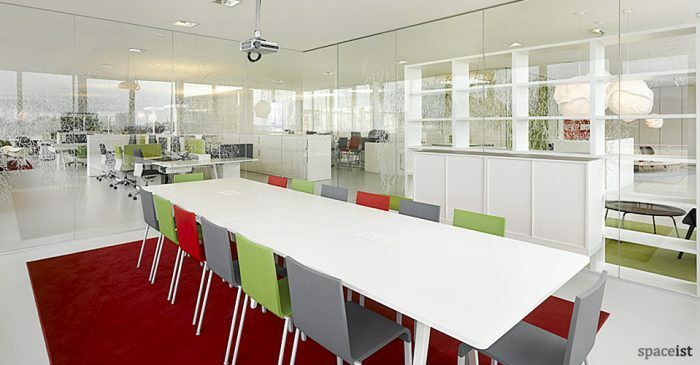 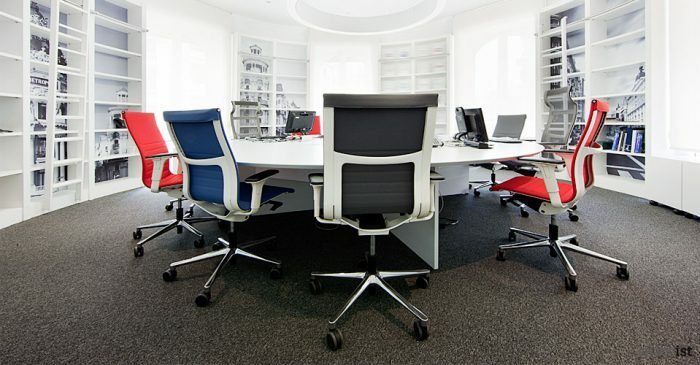 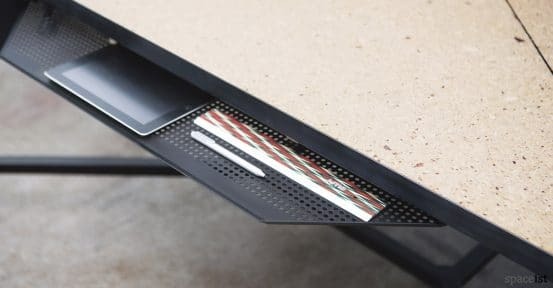 The range was created to offer flexible work spaces, for example the 165 x 165cm table can accommodate 8 people all within easy access of the cable point. 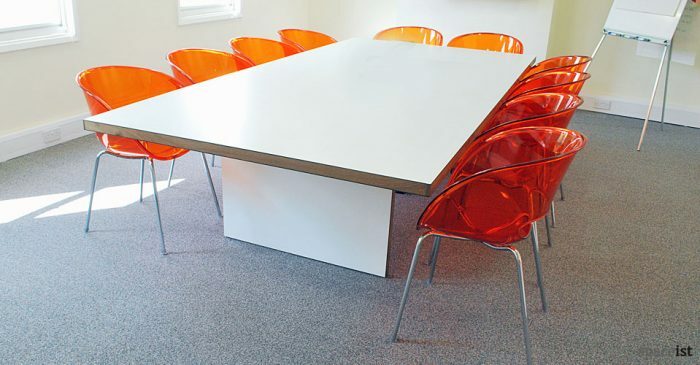 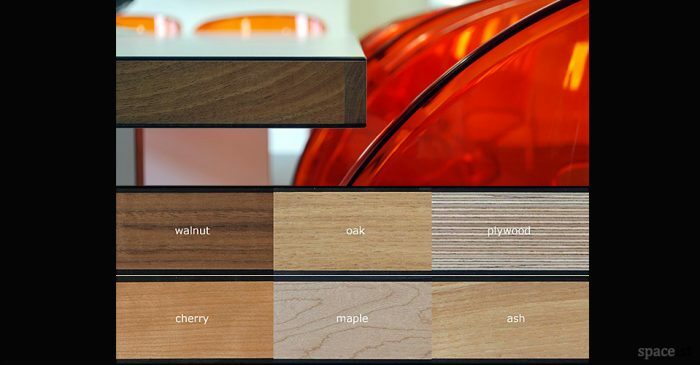 The table can be fitted with a high canop with a sound reducing fabric panel and dimming LED. Matching office office desk, bench desk, storage and staff lockers.